Will Ferrell is back in a much-welcomed dramatic role. 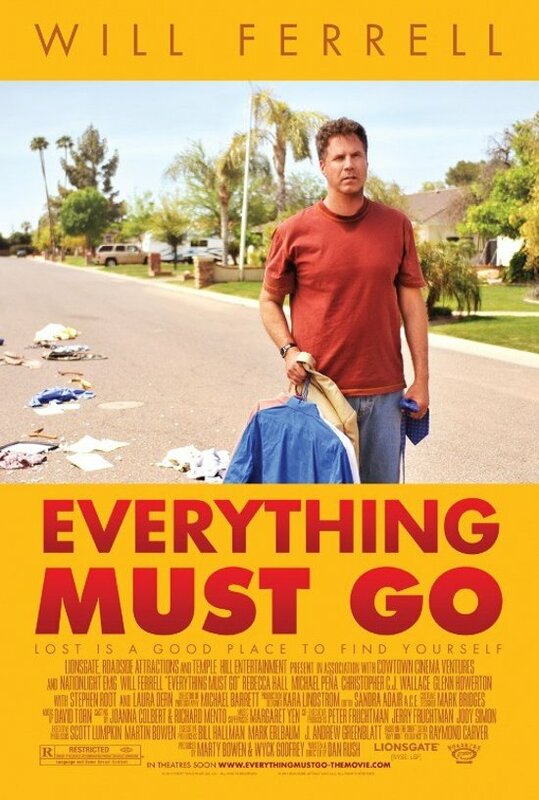 Everything Must Go, based on Raymond Carver’s (very) short story “Why Don’t You Dance?“, is a moving character study that gives Ferrell a chance to show off his improved dramatic chops. Ferrell plays the character of Nick Halsey, an alcoholic whose world has just crumbled all around him. 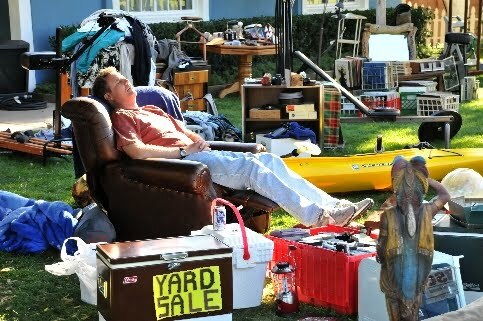 After getting fired from his job for a drinking-related incident, Nick comes home to find all of his belongings scattered across the front lawn. His wife, who is nowhere to be found, has kicked him out of the house and even changed the locks on him. With nowhere else to go and nothing to do, Halsey takes up residence on his lawn. Although he seems perfectly content to spend the foreseeable future on his front lawn while drinking Pabst Blue Ribbon, Nick’s neighbors don’t have the same idea. The police visit his house to warn him that he is breaking the law, but a friend of Nick’s on the force (and also his AA sponsor, played by Michael Pena) grants him a temporary reprieve if he agrees to have a yard sale. Facing the prospect of jail time if he doesn’t, Halsey is forced to agree. In the midst of his life being in total disarray, Nick forges two unlikely relationships. One is with Kenny, a pudgy teenager (Christopher Jordan Wallace, aka Biggie’s son) who he teaches about sales and baseball in exchange for helping him with his yard sale. The other is with Samantha (Rebecca Hall), a lonely pregnant neighbor across the street who feels sympathy for Nick and is one of few who shows common decency toward him. In a time of need, these are the only people who are even giving him the time of day, as unlikely of “friends” as they might be. On paper this sounds pretty depressing. And, in some instances, it is. Those expecting a typical Will Ferrell effort will be disappointed, but I believe this is his finest role yet. It is absolutely refreshing to see Ferrell play a different type of drunk — one who is subdued and functional rather than over-the-top and obnoxious. 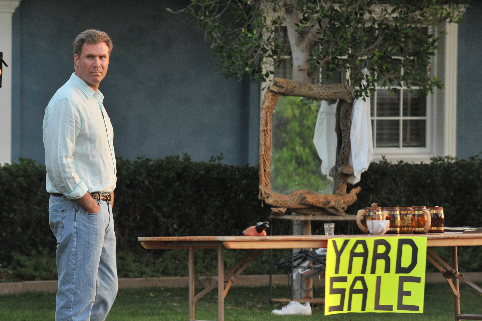 His character is a seemingly good man who has a serious addiction, and Ferrell’s performance really drives this home. Everything Must Go focuses on the dramatic side of things, although there are hints of sly humor from time to time. The film has a bit of a slow pace that might turn off some, but I found it to be engaging throughout. This is definitely a one-man show complemented by some admirable performances from the supporting cast (including some nice bit roles from Laura Dern and Stephen Root). Hopefully this is the beginning of more similar roles from Will Ferrell; in Everything Must Go, he shows he is certainly up to the task of carrying this type of film.